(Tulsa, Okla.) June 15, 2015 – The SMG-managed BOK Center was honored for its 2015 Garth Brooks PR campaign during the recent 2015 SMG Marketing Summit held at the Long Beach Convention and Entertainment Center in Long Beach, CA. 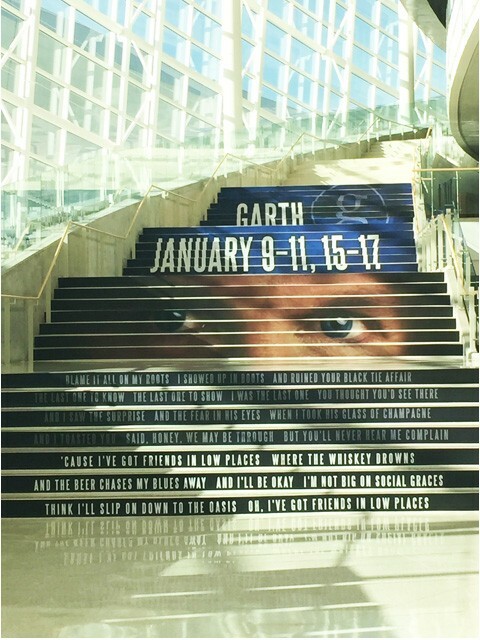 In January, Garth Brooks returned home to Tulsa and played seven sold out shows at BOK Center. 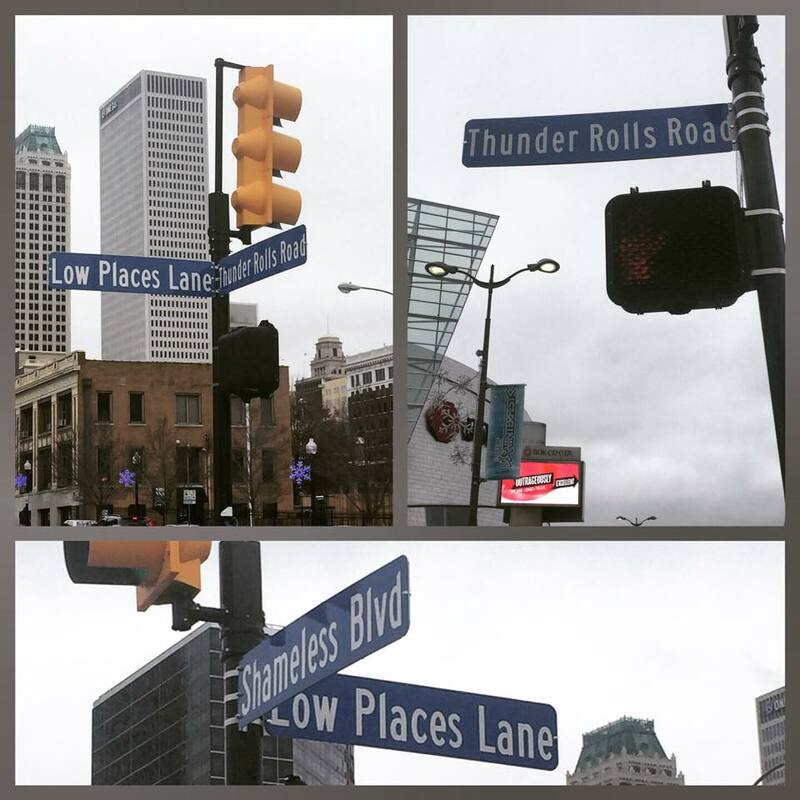 In his honor, BOK Center staff worked with the City of Tulsa to temporarily rename all four streets that surround the venue to names of Brooks’ most iconic songs. The street names were: Thunder Rolls Road, Low Places Lane, Shameless Boulevard and Rodeo Drive. The street signs gained national media attention and were even featured on CMT, Fox News and Garth himself talked about them on The Today Show. In addition, Tulsa-based creative agency, AcrobatAnt, designed a wrap for the iconic grand lobby staircase that featured lyrics to “Friends In Low Places.” The staircase turned into a photo opportunity for fans attending the shows as guest after guest lined up to capture this historical moment. The campaign was voted 2015 Best Public Relations Idea by more than 70 SMG marketing professionals from venues across the United States and Puerto Rico. The renaming of the street signs was also recently covered in a marketing article in the June 13 issue ofBillboard, a premier music publication.